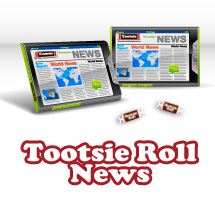 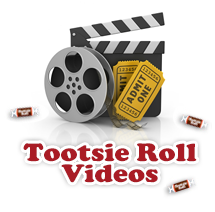 Chicago, IL - Tootsie Roll Industries now give candy lovers more fun with three exhilarating new Frooties Flavors - full-bodied Root Beer, refreshing Strawberry Lemonade and crisp Cran-Blueberry! 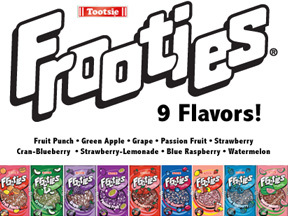 These soon-to-be favorite flavors join an already sweet Frooties family that includes Grape, Strawberry, Fruit Punch, Green Apple, Blue Raspberry and Watermelon. 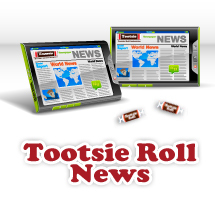 Labeled as kosher, and are nut, egg and gluten-free.